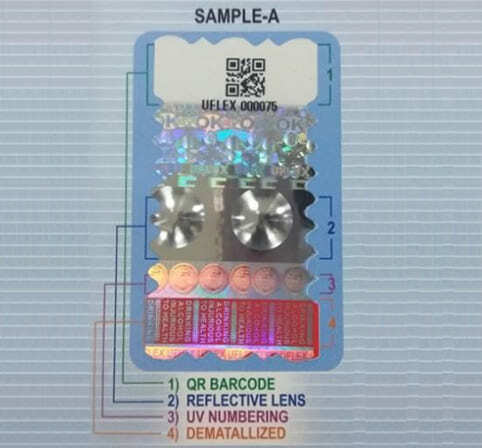 Uflex’s Holography Division’s products range from Holograms, Holographic Scratch, Holographic Wads, Self Adhesive Labels, Printed Labels to Holographic Paper Labels, Holographic Strips, Holographic Pouches, Holographic Films, HSF Foil, Glitter Film, Sequins Films, Hot Melt Film, Fancy Yarn Films & Security Documents. Uflex’s Holography Division’s products range from Holography. 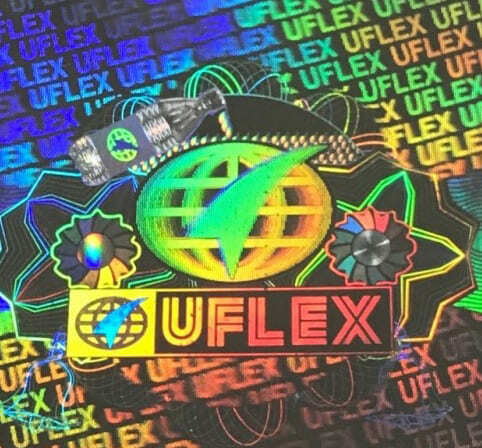 Uflex offers best in class holograms available in 2D/3D, Dot Matrix & High resolution Kinemax technology. Our range is reckoned for its vibrant color combination, print clarity and quality. Further, these are offered in standard and customized shapes to the clients at most competitive price coordinates. Primitive technology (conventional system) requires manual efforts in shooting masters. This technology produces hologram with two or three layers with background, middle ground and foreground. Dot Matrix is considered to be one of the most secured holograms world-over. It easily helps create, edit and expose digital holograms. A broad range of holographic effects such as kinetic and colour animation, 2D/ 3D modulation of the back ground, stereographic background, true colour images, single and animated hidden images, micro text, special texture images etc. can be obtained using this technology. All effects are easily accessible through the software. In this technique, the system combines flexible diffraction gratings with generalized Fresnel lens calculation technique and optical lithography recording, allowing extreme freedom of designing diffractive structures, including Fresnel-type elements. The hologram produced using E-Beam technology is considered to be the most secured hologram internationally. These holograms are made using very expensive and highly sophisticated technology called Electron Beams. This kind of technology allows the creation of originals of holograms with a resolution up to 4 micron. 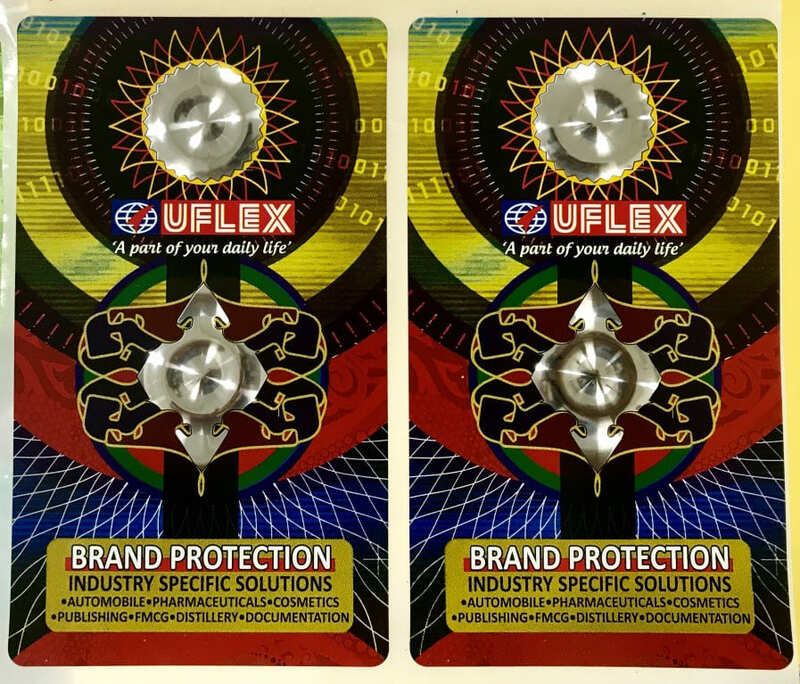 Uflex offers a number of innovative security features (Mastering & Non Mastering) to make its hologram near to counter proof. Due to proprietary reasons we haven’t presented the details of security features on the website. Please contact us for your requirements related to security holograms. Our contact details are provided in the Contact Us section., please visit the contact details. 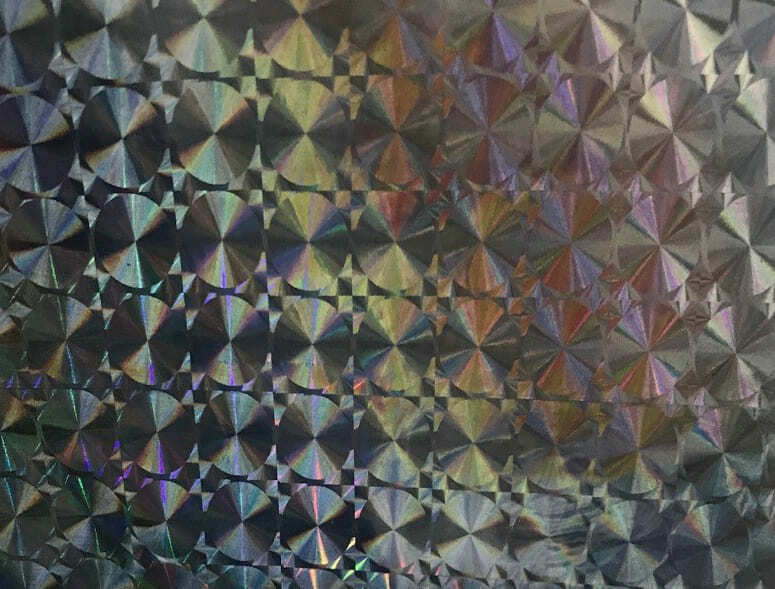 We produce high quality holographic films for the purpose of security and aesthetic value, ranging from 12 to 50 microns. These films can be used for wrapping gifts. The film can also be laminated with paper board and printed polyester in order to make pouches or boxes. It increases the aesthetic value of the product evoking buyers’ interest at the point of sale (POS). Uflex offers best in quality holographic wide web films. Soft embossing film is manufactured in metalized, transparent and semi transparent variants. This is used for promotional activities and secure packaging needs. This film is widely used in various industries viz. automobiles, food, FMCG, Pharmaceuticals & cosmetic. 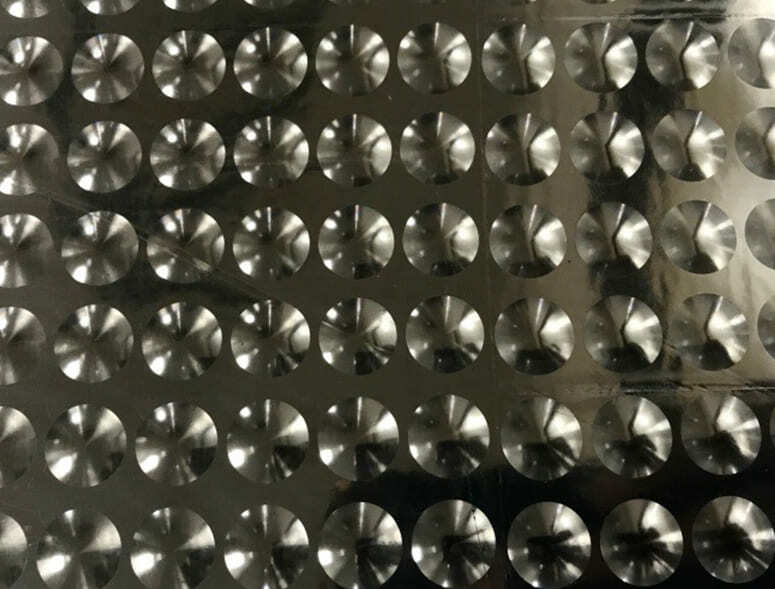 Hard embossing film is manufactured in metalized and semi-transparent variants having shim joint less laser pillar of light. This is used for promotional activities and secure packaging needs. This film is widely used in various industries viz. automobiles, food, FMCG, Pharmaceuticals & cosmetic. Hard Embossing film has better chemical & heat resistivity than soft embossing film. UV embossing film is manufactured in metalized, transparent and semi transparent variants. This is used for promotional activities and secure packaging needs. This film is widely used in various industries viz. automobiles, food, FMCG, Pharmaceuticals & cosmetic. The brightness /gloss effect & chemical resistivity is far better than hard soft /hard embossed film. High reflective index film is also called as Zinc metalized film. Its available in transparent form. This film is used specially for overlay / lamination on printed substrate. 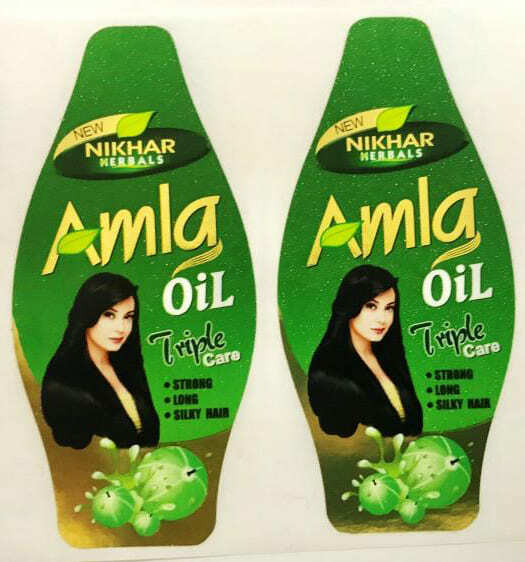 After lamination both print matter and holographic effects are clearly visible .This is used for promotional activities and secure packaging needs. This film is widely used in various industries viz. automobiles, food, FMCG, Pharmaceuticals & cosmetics. Lens effect is one of the advance security features which are being developed on carrier films. 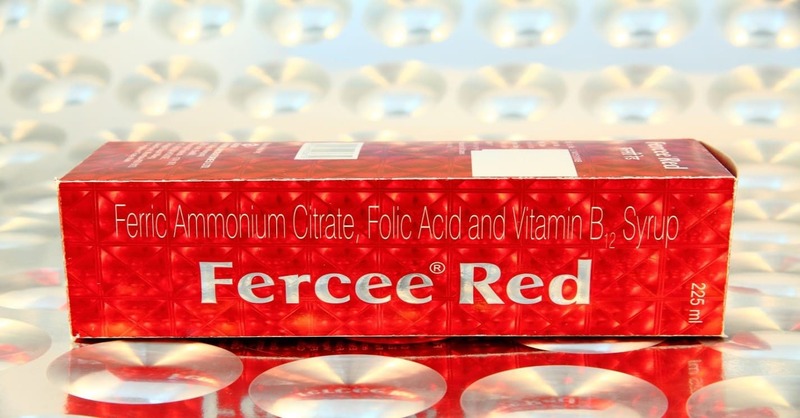 Lens effect gives more authentic secured packaging solutions. Various industries viz. automobiles, food, FMCG, Pharmaceuticals, cosmetics, etc are using this effect for their secured packaging needs. Uflex offers different various sizes & shapes of lens to the customers. Holographic PVC Film is developed targeting various pharma companies which are using this product to make blister packs for medicines, capsules etc. 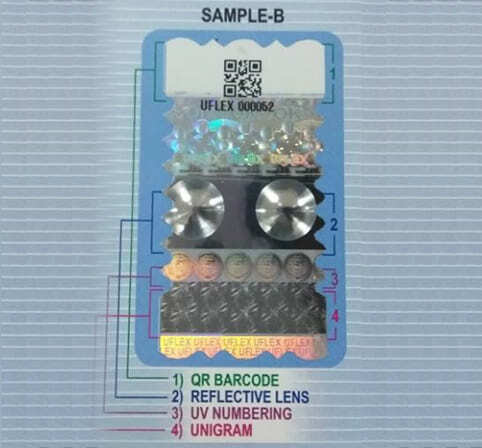 Different Holographic features can be incorporated to provide protection against counterfeiting. Uflex understands the needs of embroidered and high fashion garment export houses. Uflex is the only manufacturer in India that provides OEKO-TEX CERTIFIED Material to the fashion houses. 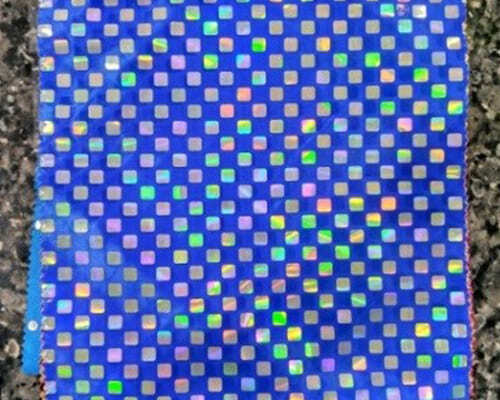 Due to our quality and wide range of products, our sequin films are widely accepted for computerized and hand embroidery processes.The thickness range varies from 91µ to 175µ. We provide about 800 plus colours and exclusive printed designs. 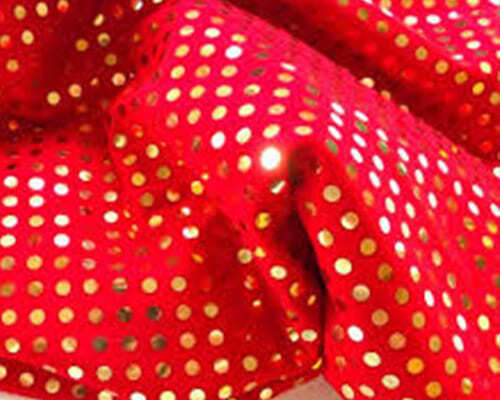 Uflex exports a large quantity of PVC free sequin film with more than 400 shades and design options. It is next to impossible to counterfeit our exclusive & innovative designs. 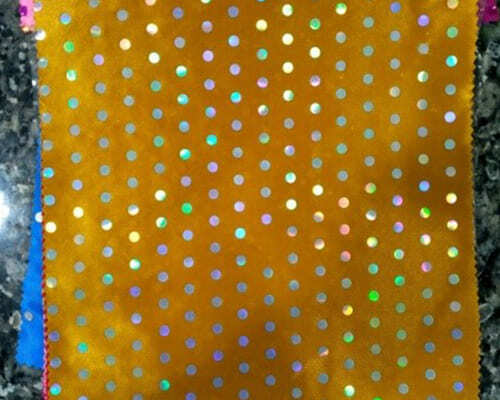 Uflex is equipped with world class in-house manufacturing facilities to develop the best quality sequin films. Uflex is specialized in manufacturing holographic films for metallic yarns in variety of colors & designs. 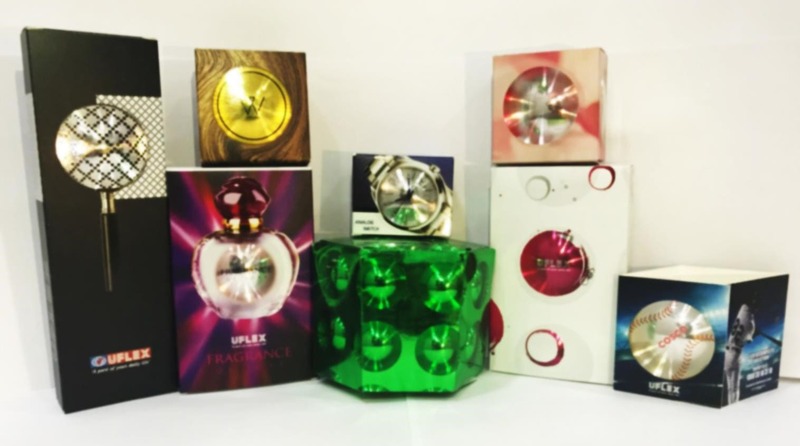 Uflex is pioneer in producing holographic/non holographic hot stamping foil for printing & packaging and textile industry, enhancing visual appeal and brand protection. Our hot stamping foils are suitable for a wide range of substrates and good for fine details to solid patch jobs. 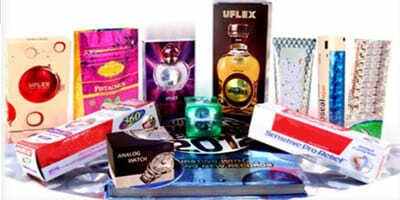 Uflex offers various ranges of Hot Stamping Foils which all are suitable for over printing. Available in both Holographic & Non Holographic Colours for all grades. Application in Decorative textiles, T-shirts, Evening dresses, Dress Materials, Furnishing Fabrics & Swim wears etc. Suitable for both fine line and medium to large area stamping designs. Application in Wine & Spirit labels, Cosmetics, Greeting cards, Varnished Paper, Cigarette packs, Book Covers and Carton etc. Wall clocks, Cosmetic Containers, Toys, Plastic File Covers / Folders and Diary cover, Plastic Photo Frame etc. 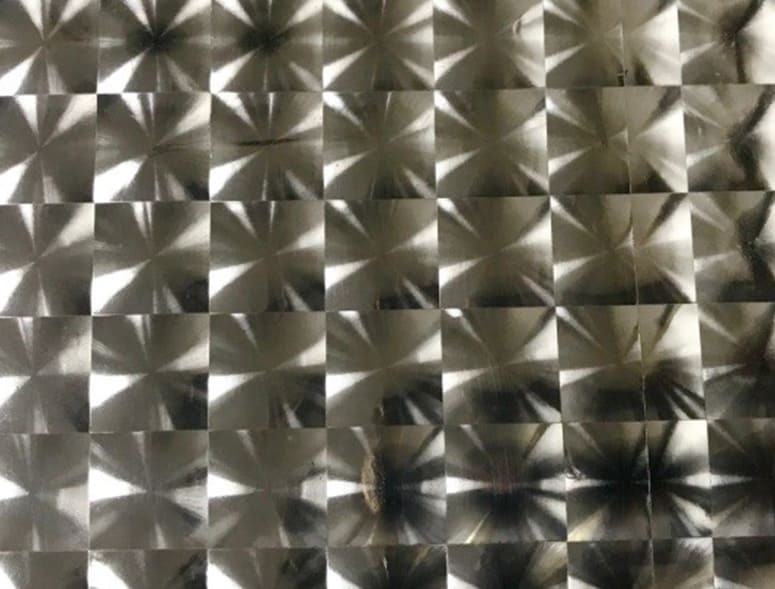 Transfer metalizing process refers to adding a thin layer of Aluminium (with or without holographic Lacquer or the color) to a substrate namely paper, board or a film. The layer of aluminium adds a bright metallic and high gloss effect. These metalized substrates are used as base materials for packaging, labels, promotions & publications. Direct Metalizing: The substrates are directly put into the Metallizers to transfer thin layer onto the surface, this is also called as vacuum metalizing. 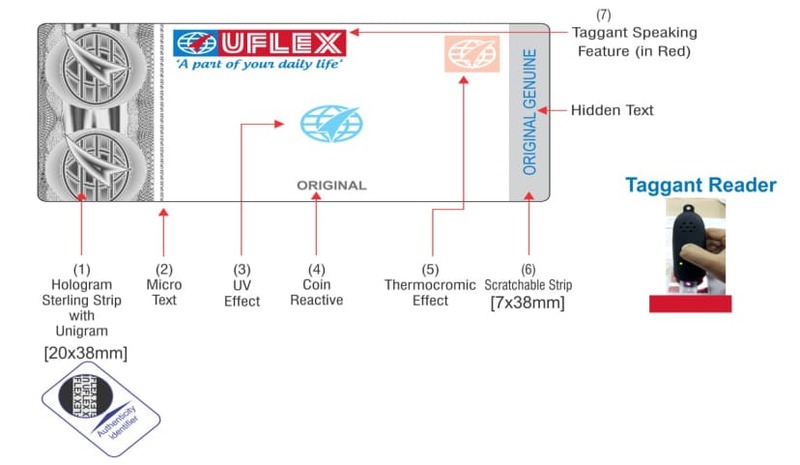 Uflex do not make direct metalized paper/board at the moment. Transfer Metalizing: The aluminium layer/lacquers are first transferred to the surface of a carrier film, usually by engraved cylinders. This carrier film is then laminated to the substrates onto which the transfer is to be done. The carrier film is then removed after curing & the fine aluminium layer is transferred. Transfer Metalized has a few advantages over direct metalized. It has greater mirror effect, especially suitable for increasing aesthetic appeal and also used for decorative purpose. Almost any surface can be metalized with this process, the applications are more versatile. Gold: A gold effect is created by adding pigment to the release coating prior to metalizing. Holographic: An extra glitter/brand protection/ security effect is created by pre-embossing the release coating prior to metalizing. Matt Designs: Matt designs are available in Silver, Gold, and Holographic designs/ colours, by doing an extra matt coating to the carrier layer of transfer. Lens Transfer: We produce beautiful lens transfer paper & boards, the lens transfer designs can be continuous running form or these can be registered as per the customer’s layout of given format of label or a carton. Bright metallic effect will offer a luxury and high quality image. Supplied in hi gloss silver, gold and holographic patterns. Excellent print finishing: Processable in folding, gluing, die-cutting, embossing, twisting, less machine wear, no white lines/fibre appearance on creases. Weight saving: only 4-5 GSM is added to the base weight of the substrate. Uflex is one of the leading organizations providing most popular labeling solutions to various industry verticals. Uflex’s pressure sensitive labels/self adhesive labels are an excellent choice for products in home care, pharmaceuticals, personal care, wine liquor, food and beverages, automobile\ and several other industry verticals. Our label product facilities offer customized labels and printing in a variety of stocks, inks and processes. State of the art manufacturing facilities which cater to the requirements of large volume production orders, ensuring highest quality standards, aesthetic appeal & brand enhancement. We offer customized solutions to our clients and provide several options in terms of variety of papers and film substrate that attracts end users attention at the point of sale. Security coupons for promotional activities. Uflex provides pressure-sensitive labels for industry specific solutions meeting customers’ requirements. Our range of solutions contains high-durability Prime Labels, Drum Labels, Performance Labels, Security/Tamper Evident Labels and Promotional Label. We are serving labelling solutions to almost all industry verticals. Our expert and experienced professionals specialize in providing solutions to a varied range of customers.